Beauty comes in many forms and Jordan Bone, a C6 quad from Norfolk, UK, may be one of the best examples of this age old adage. 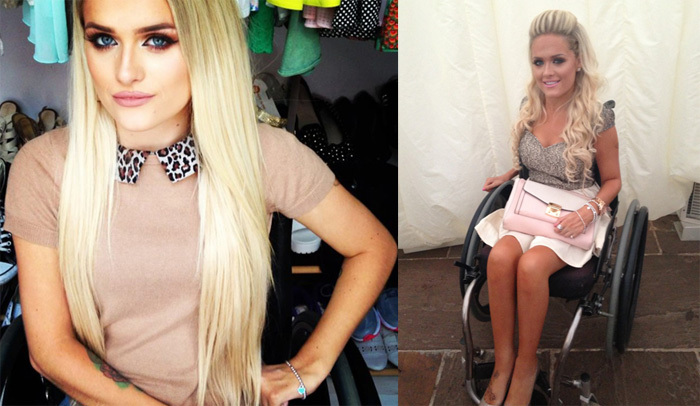 Injured 10 years ago in a freak car accident when she was just 15, Jordan has gone on to become one of YouTube’s rising makeup vloggers, and 2014 has been her year. They say getting injured at a younger age makes it easier transition-wise, and Alexandra Santibanez certainly proves this is the case. A fashion model hailing from Miami, Florida and a motivational speaker and advocate for disability awareness, her injury at the age of five has barely slowed her down. But what we especially love about Alexandra is her sense of style. Not only is she a model, but she went on to receive her bachelor’s in a field perfectly suited for the fashion industry, making sure she’s armed and ready for the future. The “Ryan Seacrest” of Amsterdam, Marc de Hond is a well known TV personality and presenter who started out his media career as a DJ, but he wasn’t always paralyzed. A tumor on his spinal cord had different plans, and it changed his entire life when he was 25 years old. But what’s glorious is how Marc threw himself back into life after rehab, especially since his rehabilitation stay was longer than most due to his incomplete injury, and he soon realized his wheelchair was a better form of transportation vs. desperately trying to walk, and it was in this moment he reclaimed his life. Now this is something I can guarantee you’ve never seen at any museum before. Debuting this Saturday at the Royal Ontario Museum, also known as the ROM, Canada’s largest natural history museum, is a textile exhibit sure to impress any wheelchair-user, or anyone interested in fashion created for the seated form. Called Fashion Follows Form: Designs for Sitting, this exhibit showcases the brilliant designs of Izzy Camilleri and her line IZ Adaptive, which were all created with wheelchair-users in mind. But it’s not just showcasing her designs and no one else’s. The exhibit also will be showcasing designs from the 18th and 19th century that were also created for the seated form. This part is pretty cool considering how difficult it is to preserve textiles from even 100 years ago. I absolutely love antique clothing for this very reason. 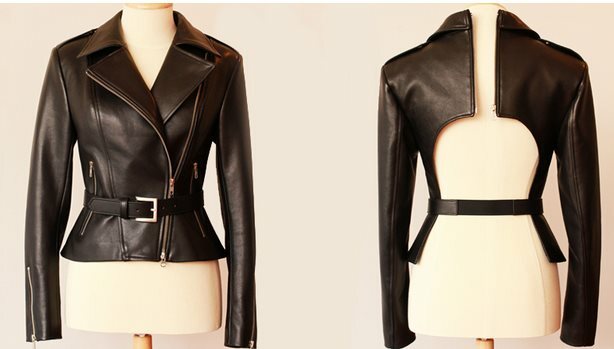 To get into specifics on the new garment side, Izzy will be showing 12 of her looks, including her leather jacket that splits into two with a vertical zipper for easy access, a trench coat with the shorter back (my all-time fave) and her gorgeous wheelchair-friendly wedding dress. And there will be 6 antique textile pieces shown alongside IZ’s garments. A few of these include a dolman created to accommodate a large bustle, 18th century breeches and a 19th century side-saddle riding habit. All of IZ’s garments will also be shown on standing mannequins to demonstrate why the designs work so well for sitting. Also, 12 of Izzy’s iconic designs, garments she’s made for film, will also be on display, including her silver fox coat worn by Meryl Streep in The Devil Wears Prada. Fashion Follows Form debuts this Saturday, June 21, 2014 at the ROM and will run through January 25th, 2015. And even cooler – if you can’t make it in person, the exhibit will also be online. I’m so glad an exhibit like this is happening. It will give a huge slice of the population insight into a world, a textile issue, they’ve never thought of before. And if you’ve never gone to the ROM, definitely consider going in you’re in the Toronto area. It has won several accessibility awards and has dozens of fascinating exhibits. You won’t regret it. Will you go to Fashion Follows Form: Designs for Sitting? 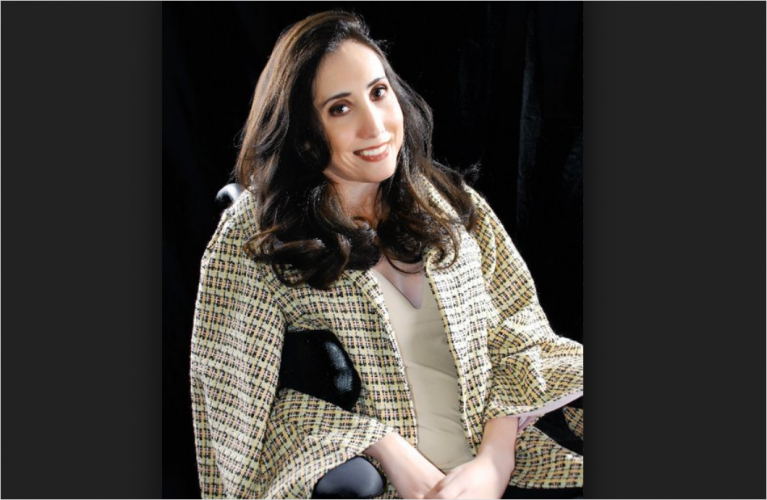 IZ Adaptive has been an award-winning adaptive clothing line for the seated body since 2009, spearheaded by renowned Canadian fashion designer Izzy Camilleri. Izzy intimately knows the world of fashion, and know that change is always a good thing, which is why she’s revamped her website & inventory. I couldn’t be more excited either. Prints are one of the biggest changes you’ll notice in her collection, with leopard print and floral prints now available with their adorable Capri pants and Women’s blazers. They’ve also added a “Dressing Easy” category that exclusively contains some really cool items to help you dress easier. The items they’ve included will delight anyone interested in clothing construction. You’ll find their super smart Open Back Sweater, that has an open back with snaps, their Solid Magnet Shirt with easy magnet closures and their Tear Away Pant, which has snap closures on the outside of each leg. IZ Adptive’s Men’s area has also been given a refresher. 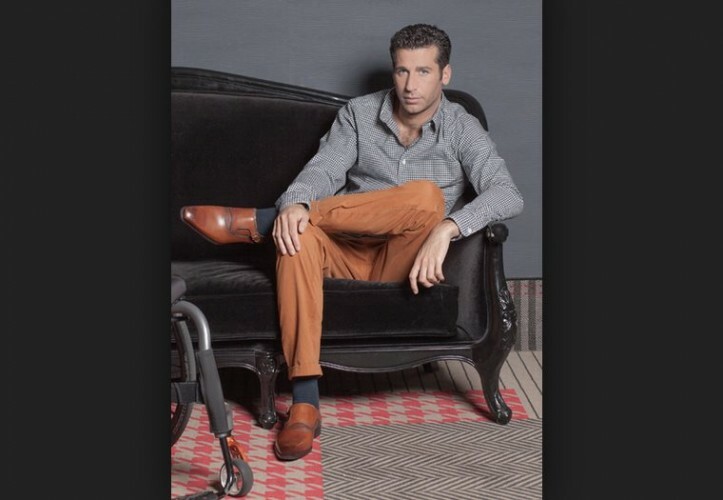 Not only will you find a bigger selection of everything from shirts and jackets (these are also available in new prints like camouflage) to increased athletic wear options, they now have male models modeling their clothing. They’ve hired several new female models too, all real-life IZ users, who you will see throughout their online catalog, and each representing an unique ability. IZ is showing real-life users in real-life situations in their images and it couldn’t be more awesome. Above all, IZ Adaptive clothes are meant to help you feel better about yourself. 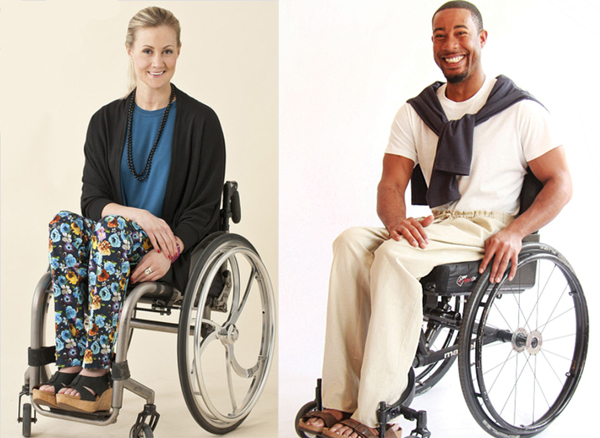 From their shop in downtown Toronto, they’re always thinking of the next great garment for people who use wheelchairs and they eagerly and gladly welcome any garment ideas and suggestions, which is so great. So if you have any kind of light bulb of inspiration, even an inkling, make sure to email it to info@izadaptive.com. They are open to as many suggestions as they can get. Growing up in Scranton, Pennsylvania, Dr. Danielle Sheypuk, the now self-described “Carrie Bradshaw” of women who use wheelchairs, was just like any other girl – she loved playing with her Barbie dolls and she dreamed of growing up to be a beautiful woman with a doting husband – but she was also a wheelchair-user. At the age of 3, Danielle’s Spinal Muscular Atrophy progressed to the point where she could no longer walk, and since, she’s been a full-time wheelchair-user. Danielle is without question an expert at living life fabulously sitting down, especially when it comes to dating and sexuality. At only 21 years old, Jessica Kruger from Vancouver, Canada has already put a huge dent in her mission to change the way the world perceives beauty. Last year she put her hat in the ring for a nationwide modeling contest in Canada sponsored by Lise Watier, and she totally won. Since winning, this college student and quad rugby player has been all over the news sharing her story and spreading the message that beauty can come in all forms. A woman of remarkable beauty, Chelsea Rae Huggins is the ultimate meaning of keep on keeping on. Once a rising makeup artist who went on to transform her love of painting faces into painting on the canvas, she truly understands the importance of beauty. There’s power in beauty and in art, and the art Chelsea Rae (also known as SPINALpedia member raehuggins) has created has garnered her a huge following on Facebook. Her purpose in life is without question to help share beauty with the world. It takes a lot of gusto to step out in the world the way Angela Irick has. A C1-2 quadriplegic since 1996, she’s been bound and determined not to let her paralysis hold her back from her dreams. While it’s certainly not easy navigating the world with an injury as high as hers, that hasn’t stopped her. Wheelchair or walking, we all want that “dream” house. Maybe it’s not pink with turrets or a giant brick castle like the homes we dreamt of having one day as kids, but they’re still there; a twinkle in our mind’s eye, a bit modified of course now that you gotta use a wheelchair. No longer do we want a bowling alley or a house with multi-levels. Or maybe you do, and you just want an elevator (or a bunch of really cool artfully placed ramps). 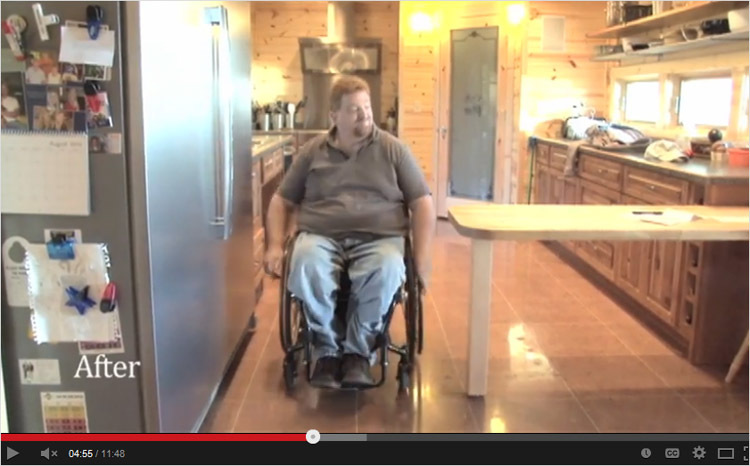 But the point is – the ‘dream’ house is certainly a bit different when you use a wheelchair. There’s no question about it.